Students are exposed to a new culture, which offers learning opportunities that can benefit future patient interactions in their career and beyond. 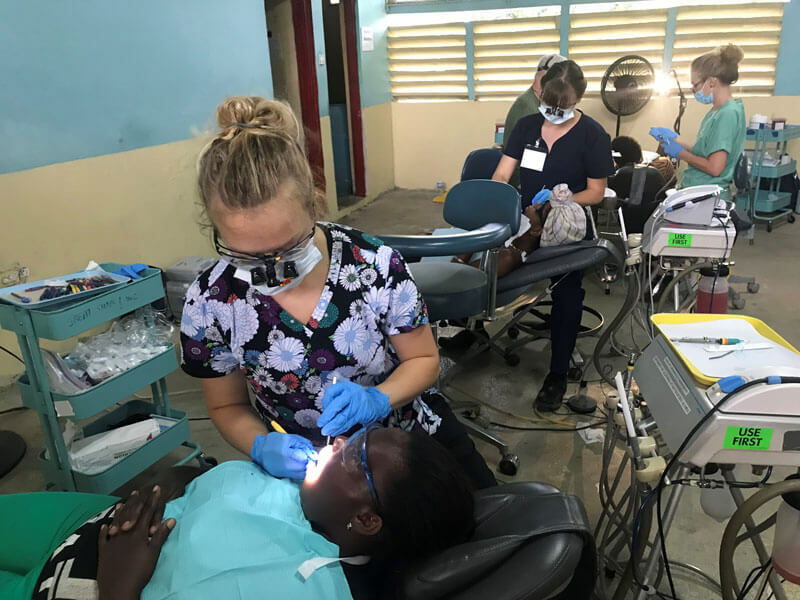 SALEM, Ore. – Ten students and one faculty member from Oregon Institute of Technology’s, “Oregon Tech,” dental hygiene program at Chemeketa Community College in Salem traveled to Jamaica in September of this year to provide dental care to nearly 1,000 residents of the area. 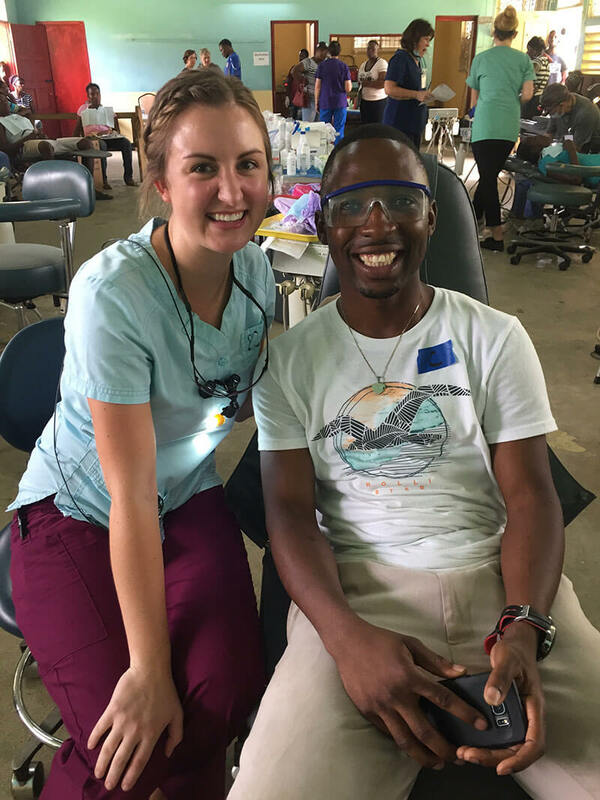 The trip is part of the International Externship Program, which provided students the opportunity to travel outside the United States on a dental care mission. 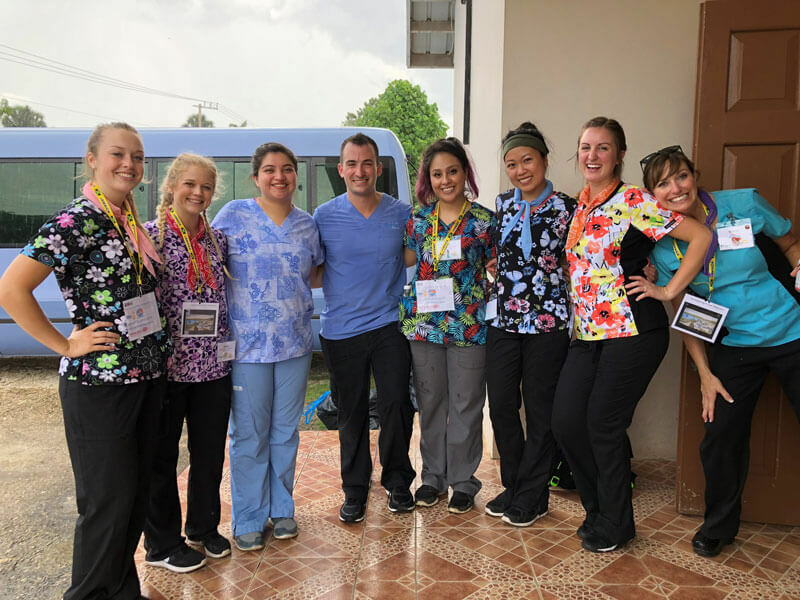 While the primary goal of the trip is to provide dental care to those in need, students are also exposed to a new culture, which offers learning opportunities that can benefit future patient interactions in their career and beyond. Services included dental cleanings, fluoride application, anesthesia, and assisting dentists with restorations and dental extractions. 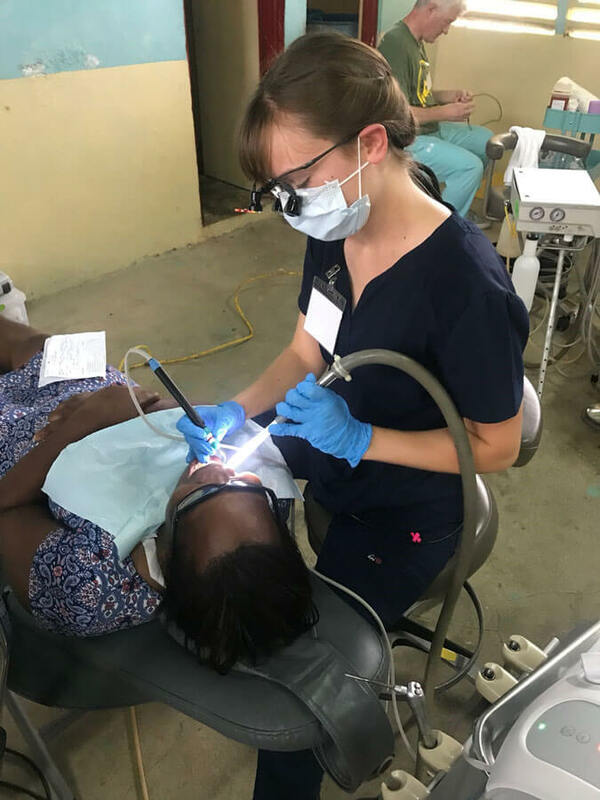 The Oregon Tech Salem dental hygiene program has participated in the program since 2013, with students traveling to areas such as Liberia, Africa, Honduras and Jamaica to provide preventative and therapeutic dental care. 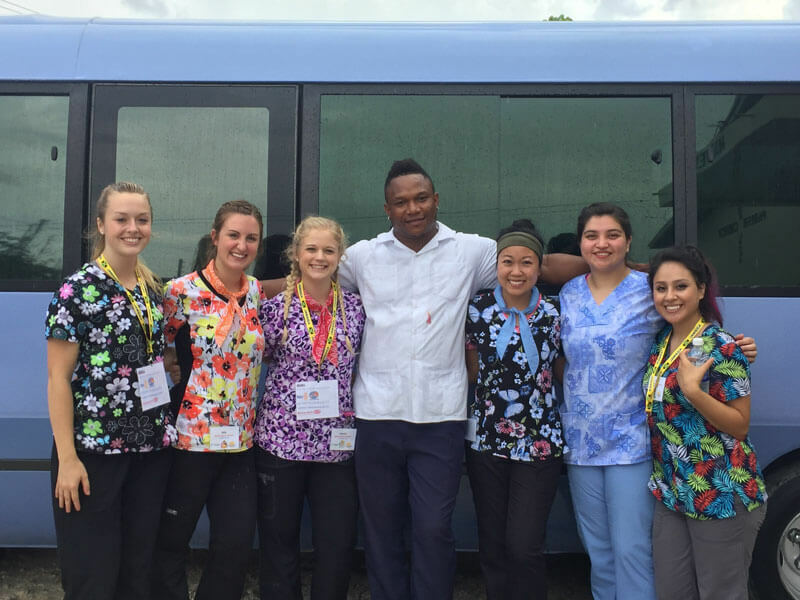 Students Allyson Anderson, Courtney Cheavtharn, Leslie Contreras, Itati Guillen, Rachel Hauser, Jessica Hotaling, Desiree Jess, Meghan Kelly, Kirsten Rochefort and Jordan Yechout traveled with their instructor Sharon Crawford, with the mission of providing dental care for local residents, to experience a different culture, and to improve their clinical skills. With a timeline of 8-12 hour work days, Oregon Tech students were able to treat nearly 1,000 patients during the weeklong service. 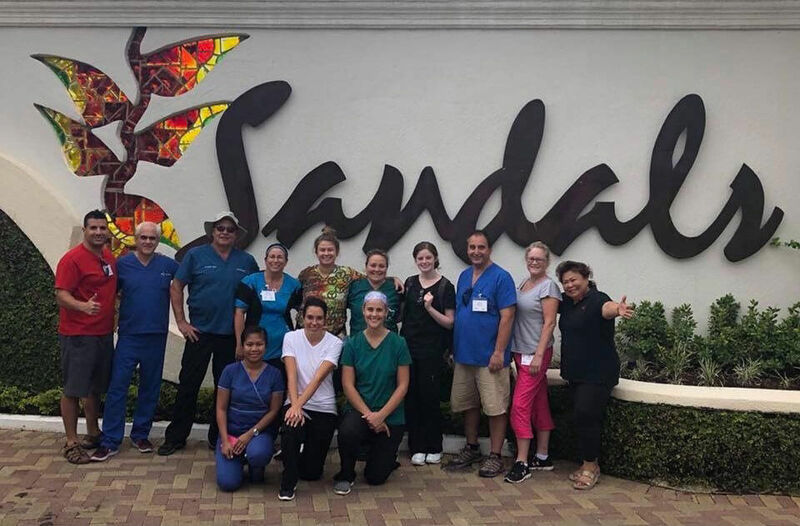 The trip also consisted of oral health professionals from Canada who led major dental work while the students assisted in restorations and extractions, performed prophylaxes (dental cleanings) and placed preventative sealants. 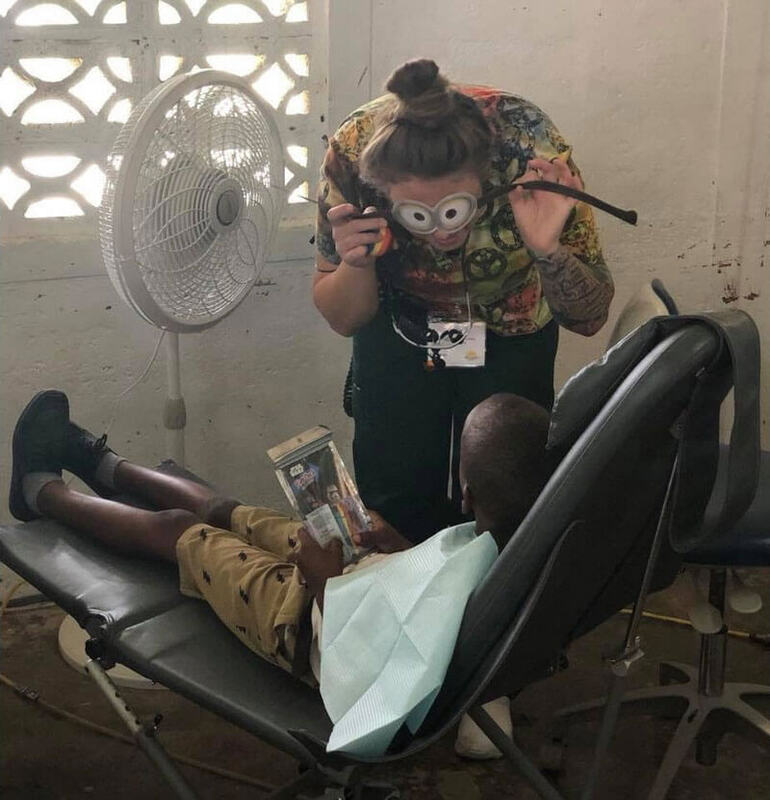 In addition to dental care, students helped with education lessons and reinforced oral health care needs like, how many times to brush and how to floss. 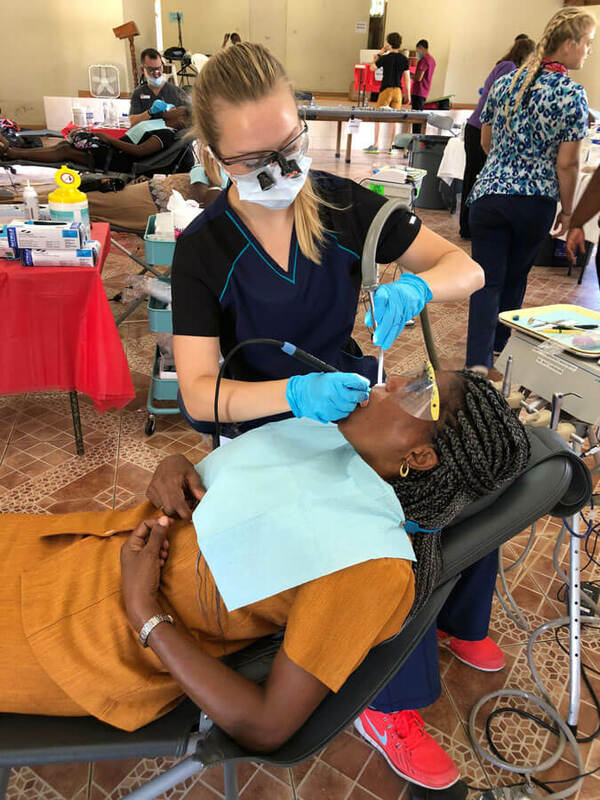 The trip itself provided more than $412,000 in care through services provided such as fluoride, education, prophylaxis, sealants, pulpotomy, extractions, amalgam and composite restorations. The trip was funded through students and the International Externship Program at Oregon Tech. Great Shape Inc.! organized the trip based on areas of need, but students were required to fundraise on their own, including each individual’s $3,500 travel fees and various other costs. The students raised money through personal donations and a variety of fundraising activities. 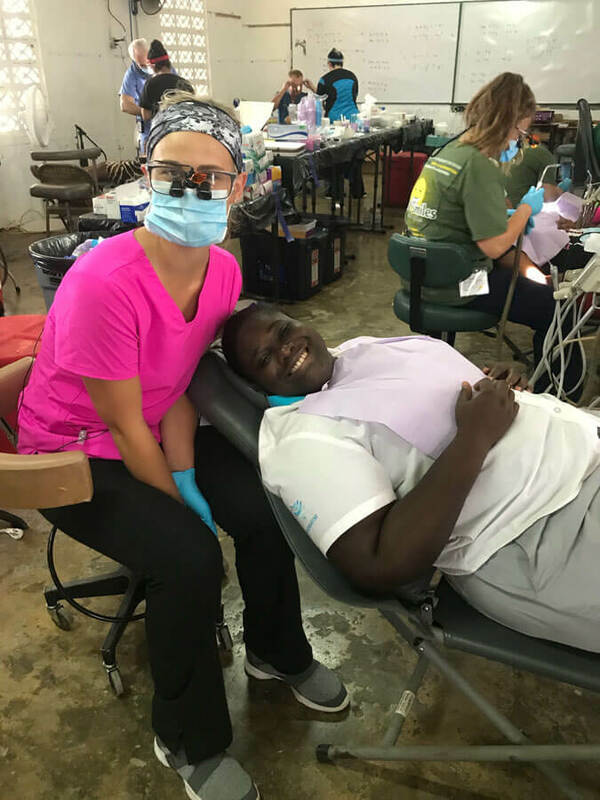 For example, Jessica Hotaling created fun dental oriented sweatshirts, t-shirts and tank tops which she sold to cover her portion of the trip. Chemeketa Community College Emergency Prepare Drive: Dental Hygiene donated nearly 100 small tubes of toothpaste and toothbrushes along with packages of gauze and bags. Junior dental hygiene students also donated personal care items such as feminine hygiene products. Faculty and students also work with the Salem area high-school career fair held at Chemeketa Community College. 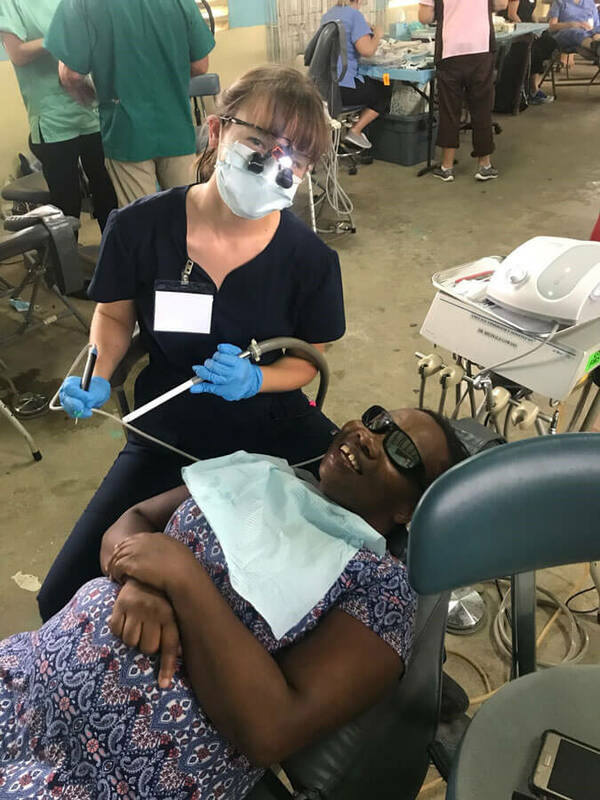 They create an interactive educational session, demonstrating to the high school students the roles of oral health care providers as well as how to properly care for one's own mouth. Interprofessional collaboration with OSHU-Monmouth Nursing students: Dental Hygiene students will instruct Nursing students on how to place fluoride varnish so that both groups can work together Nov. 28 and 29 to provide school children at Gervais Elementary with oral health screenings and varnish application. 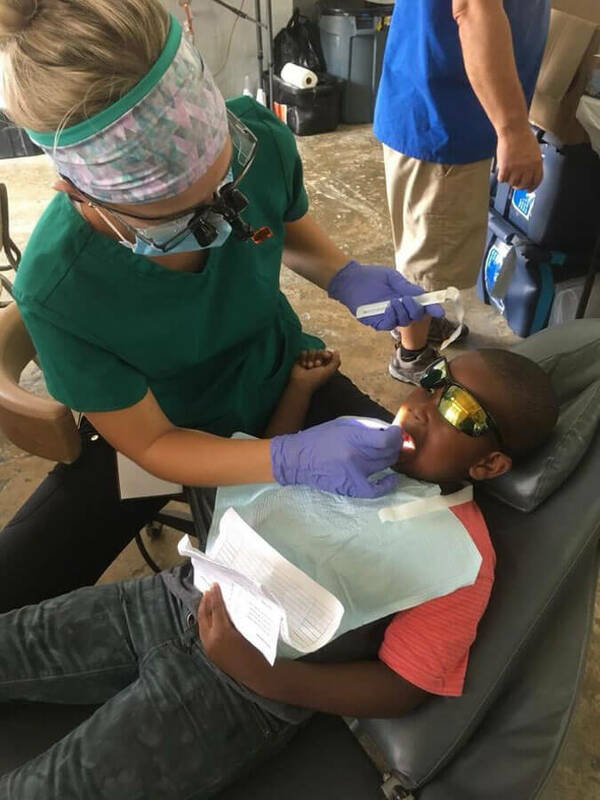 In June the junior students will work with the Oregon City Compassion Connect clinic which organizes a variety of free health services including vision, diabetes screening and dental care. Salem dental hygiene classes are taught on the Chemeketa campus with an occasional mix of online learning in Chemeketa's state of the art Health & Science Building. Students also learn and practice dental hygiene skills in the campus-based clinic where they see and treat patients. To learn more about dental hygiene majors at Oregon Tech or about our Dental Hygiene clinic, call 503.584.7101 or visit www.oit.edu/academics/degrees/dental-hygiene/chemeketa-salem.